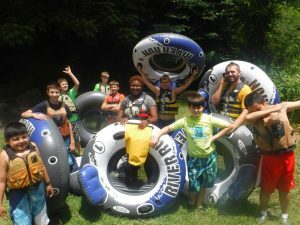 Looking for an Aspergers Summer Camp? New friends! Big adventures! S’mores! Many children look forward excitedly to summer camp, and often return year after year to build on summer friendships and master new activity skills. But is such a wonderful growth opportunity accessible to children with Aspergers Syndrome? The social, sensory and processing challenges may seem too great a barrier, and parents may fear yet another negative experience. However, camps designed especially for children with Aspergers Syndrome can meet all of those needs while providing a fantastic experience and important growth. Aspergers summer camps begin with a real understanding of what their campers need to feel comfortable in a new environment. They meet their campers where they are developmentally and provide supports to help them with social interactions, transitions, task completion, and trying new things. Most importantly, they help campers feel accepted, respected, and genuinely liked. 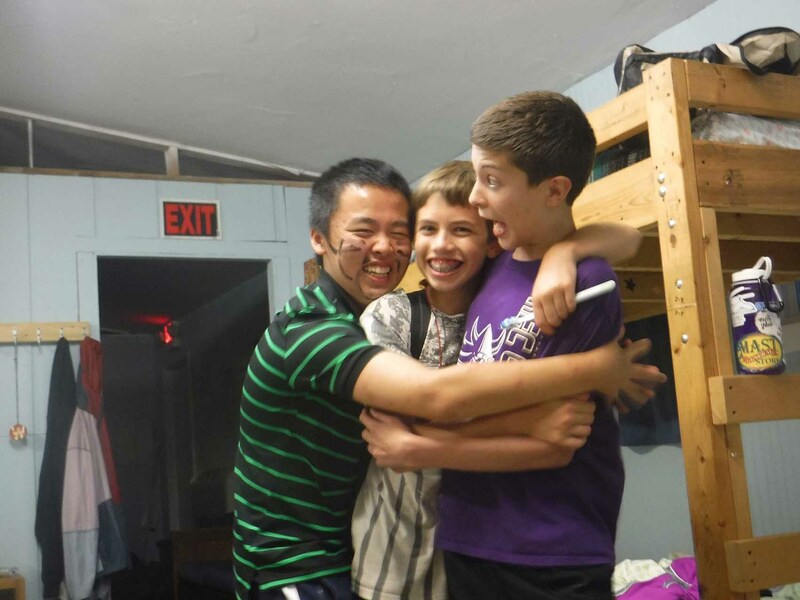 At Talisman Summer Camp, our top priority is ensuring that every camper feels they belong and they matter. Within their small cabin groups, counselors nurture camper friendships, guide problem-solving, and build a sense of camaraderie. Once your child feels supported and accepted, the benefits of an Aspergers summer camp can be many. Camp may be the one place a child feels “normal”, because all of their peers are “like them”. It can be a huge relief to not stand out, and to be with other children who “get” them. This comfort allows them to practice independence from their families, a very important developmental journey for them and their parents. Staff help them take greater responsibility for self-care and decision-making. And camp is all about trying new activities, new foods, and new ways of being with peers. With encouragement, campers may take new risks and through that build self-confidence and lessen anxiety. Talisman achieves this by pre-processing each activity, giving campers time and space to choose to participate, and celebrating efforts big and small. When searching for an Aspergers summer camp for your child, keep several things in mind. First, decide whether you are seeking a respite experience – with fun, relaxation and support, but no expectation of new learning – or a growth experience, in which your child will be challenged to stretch and try new things, and may have short periods of emotional discomfort, because change can be hard. Both have their place, just be sure you know which you are seeking. As you read information or contact camps, pay attention to how they describe their campers; do they sound like your child? Each child is unique, so no one fits exactly into a single mold, but does the camp seem to know – and serve – children similar to yours? Are they accredited by a national camp organization? This provides some assurance of a focus on safety and high ethical standards. Are the supports and accommodations they provide for campers appropriate: do they know what children with Aspergers tend to need to succeed? How much training do they do, and who are their staff? College students as counselors can be terrific if they have the training and ongoing guidance from seasoned leaders. Understand that a good fit with an experienced team is more important than location. Travel may be a challenge, but be careful not to choose a camp just because it is close to you; your child’s positive experience may be more assured several states away, as there are only a small number of true Aspergers summer camps. If you can, visit the camp before signing up; some offer open houses or tours in the off-season. Ask to speak to reference families. In the end, listen to your intuition about where the best fit is for your child. Talisman Summer Camp has been serving young people with Aspergers Syndrome and similar needs for nearly 40 years. We provide developmentally-focused programs based in current best practices and our own knowledge of what works for our campers. We are committed to providing high-quality meaningful experiences and sending everyone home with happy memories and tools for success. We welcome inquiries and visits as you search for the best Aspergers summer camp for your child. At Talisman Summer Camps, we believe that children and young adults are not limited by their learning abilities. We offer many different programs for all ages, genders, and developmental levels. However, the bulk of our programs lie in the young adult age group. Between the ages of 13 and 17 is when children are transitioning into teenagers. There is an influx of feelings, emotions, and hormonal changes that come along with that transition. Those with autism, ADHD, Asperger’s, and other similar needs oftentimes have a hard time fully expressing themselves in the midst of change. Our Insight and Teen Adventure programs for ages 13-17 are designed specifically for these teens to have an engaging, adventurous, and inclusive camping experience. We offer nine different programs for those with ADHD, Asperger’s, and autism in the teen age range. Each of these programs differ based on their primary focus and their developmental goals. For example, Hook and Tackle is a fishing expedition camp created specifically for those with ADHD and high functioning autism. Activities include fishing, hiking, canoeing and the program is focused on improving problem-solving skills and personal growth. Another popular teen Talisman Program is Insight, which is for teens on the autism spectrum. Insight is a program designed for teens with autism with a focus on personal growth. Feel free to peruse our different programs on our website. If you are unsure which program is best for your child, don’t hesitate to reach out to our Talisman team.